Have you ever seen a movie that made such an impression on you that afterwards when you visited the city it was filmed in you wanted to find the locations from that movie?That happened to me a few times. When my friend and I visited Vienna for the first time we wanted to find a café that we saw in the movie Before Sunrise, which takes place entirely in Vienna, Austria. 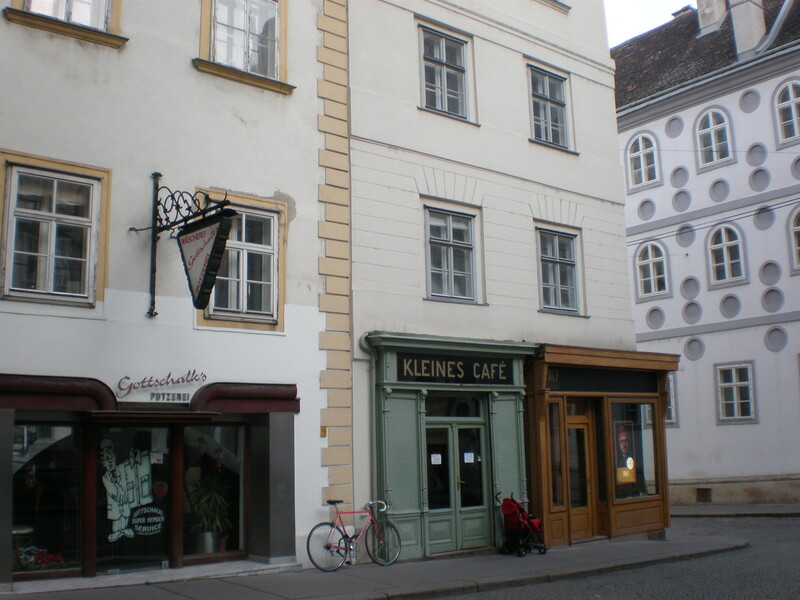 When we found Kleines Cafe from that movie we were so happy. We had a drink there. The same thing happened when I travelled to London for the first time with my BFF. I wanted to find the bookstore from the Notting Hill movie. Alas, it was closed when we came so we couldn’t get in but we had a lovely walk around Portobello Hill market and I bought a set of three London souvenir t-shirts for just 10£. What a bargain! On another visit to London I wanted to see the Somerset house because I had seen it in another movie (Last chance Harvey). 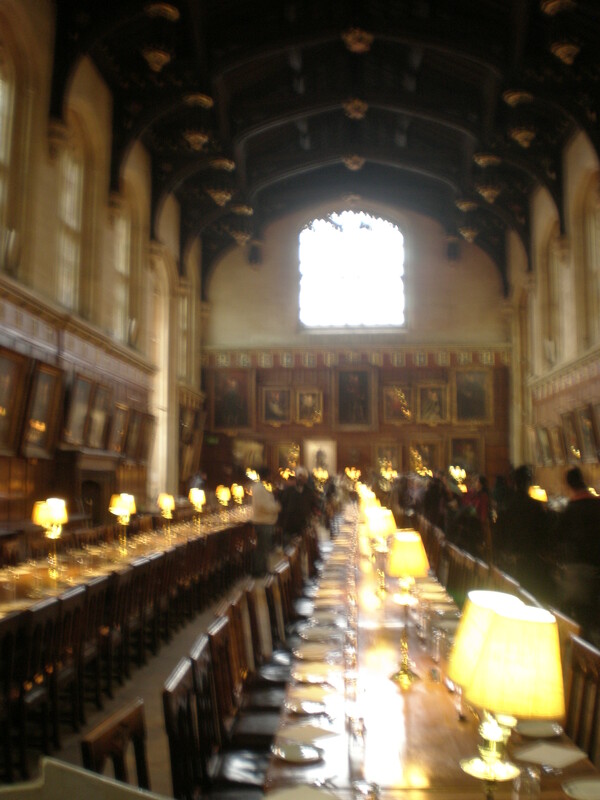 Of course, when I went to Oxford I had to visit the dining hall from the Harry Potter movies aka the Christ Church college’s Great hall. 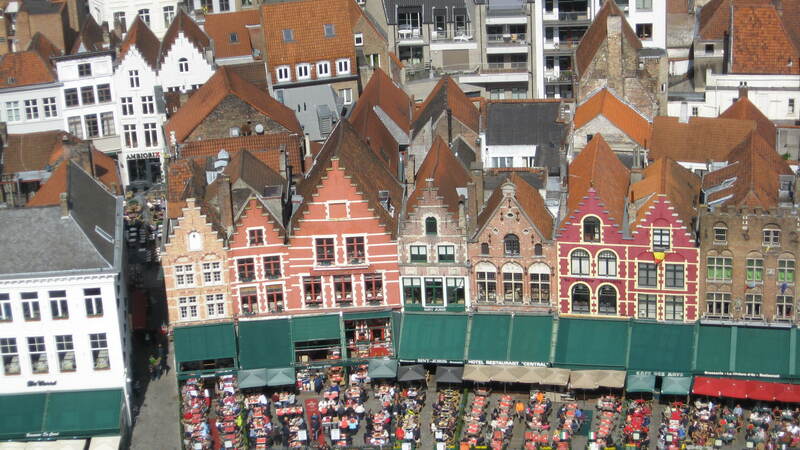 The sole reason for visiting Bruges last year during our weekend trip to Brussels was the movie In Bruges 🙂 However, some movies hit that wanderlust nerve that we’ve all got (at least us that write about our travels as if other people are interested in what we have to say 😉 ). The Golden Compass movie: Oxford, Norway, etc. Seven Years in Tibet: isn’t filmed in Tibet but in Argentina, Austria, Chile etc. Whoa! I had no idea you can go to the great hall from Harry Potter! Now I would HAVE to do that!! I think the only movie sets I’ve gone to were just accidents. In Chinatown in Los Angeles, my mom and I randomly went into a restaurant because we were hungry, and apparently it was the restaurant that Rush Hour (the first one) was filmed in, haha! I’d definitely have to add Harry Potter to this list! The views of Scotland where “Hogwarts” is are most definitely real scenic shots, and absolutely breathtaking! I definitely understand what you are saying! Usually it happens with tv shows. I was so so so happy when I went to Philadelphia (random I know) because my favourite tv show Cold Case was filmed there! As soon as I moved to Europe, my number one travel destination was Salzburg because of the Sound of Music! I love all the movie references, and will watch Before Sunrise before I go to Vienna soon! Cool post! I totally agree with you. 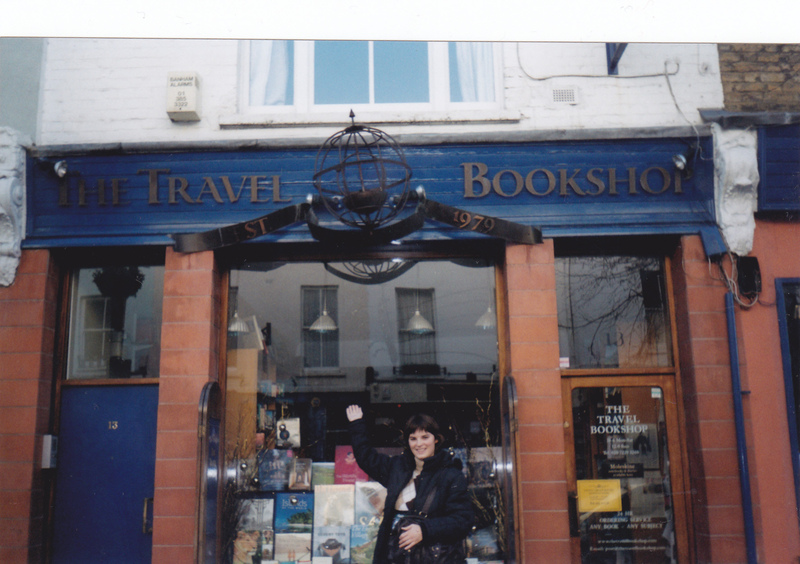 I spent seevral hours in search of the blue door and bookstore in the Notting Hill Movie the last time I was in London. When I finally found it….the trek was worth it. Some great films there, one of my favourites for travel inspiration is Mamma Mia for the way it shows off Santorini – would love to visit! Great movie list and love how they just inspire travel destinations! We’ve definitely done this ourselves many times – Rome for the da Vinci Code! Love these suggestions! The Spanish apartments series and Before sunrise series are my favorite travel movies!! thanks!great, we have the same taste! 1. “Before Sunrise” (1995): the way Linklater lingered on a lot of the exterior shots in Vienna provided great motivation. Years later, I’d move to Germany and I had a research collaboration in Munich and Vienna. I had the great fortune of being able to visit Vienna a number of times and see the city in all four seasons. 2. “Lord of the Rings”, but actually, it goes back to Xena and Hercules. Oh yes. Those lovely exteriors which always made me wonder what it would be like to visit New Zealand. Years later, when I moved to Chile, I made the “South Pacific commute” among Chile, New Zealand, and Australia a couple of times. There was little surprise seeing a lot of Aussies and Kiwis in South America, as there were plenty of Chileans in Sydney. I have always wanted to go to New Zealand after I saw the Lord of the Rings movies and The Hobbit movies. I seriously want to go into a Hobbit hole! Haha great list of movies and love your pictures! I’m with you on Under the Tuscan Sun. I still haven’t been, but Tuscany wasn’t even on my radar until I saw that movie. I find Hawaii is often used as many locations on tv and in movies and I’m always tempted to return there after seeing it on film. I have seen the Christ Church dining hall, but before Harry Potter was ever published so I can’t say that one was inspired by film. LotR first made me interested in New Zealand, but since I’ve learned more about NZ I am more interested in the South Island than in the Hobbiton. Great idea for a post! Ok, typo!! Before Sunrise is what I meant! Sorry!